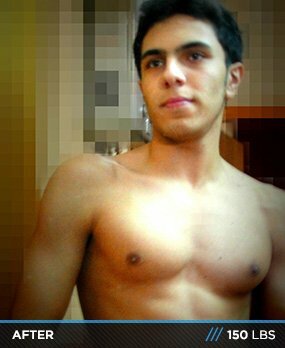 Palestine isn’t known for bodybuilding, but that didn’t stop Yacoub. He wanted a powerful physique like the ones he saw on TV and made his dream a reality with Bodybuilding.com! I was very skinny as a child. 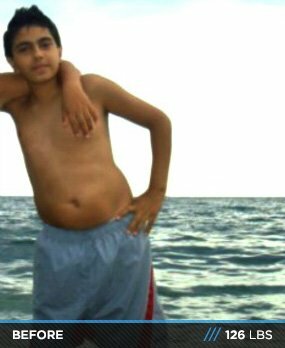 At age 15, I got belly fat from eating a lot of junk food with no physical activity. Watching television woke me up to fitness and showed me people with great physiques. I decided to remove my belly fat and get a six pack like the people I saw on TV. I went to the gym and started dieting to remove my belly fat. When I saw results from cardio and dieting, I decided to lift weights to get bigger muscles and leave my skinny frame behind. I got on the Internet looking for ways to build muscle and found Bodybuilding.com. Through Bodybuilding.com, I found dieting supplements and started a lifting regimen to live healthy and look good. That's when my transformation started. I discovered that this way of life wass fantastic and beneficial to me in numerous ways. At first, I listened to lots of people who succeeded at bodybuilding. After learning as much as I could from there, I started studying the sport myself. My research started on the Internet and spilled over into the gym. Slowly, I learned how to gain muscle and strength. I found great people on Bodybuilding.com to follow like Steve Cook, Greg Plitt, and Kris Gethin. I was also inspired by my family who provided great inspiration to keep me on track to transforming. My diet plan is great because it's simple, easy, and consists of seven meals daily. For me, the most important meals are pre and post-workout. I prepare my meals in advance, which is really helpful. I worked out five days per week starting on Wednesday. Each workout lasts nearly three and a half hours starting with cardio. The diet was the most important part of my life. I have to give it my best to reach my goals. I want to enter a competition, win, and continue finding my way in the sport to reach endless goals. Don't ever stop. Stay transforming by creating new goals. Work hard, understand it will be difficult, and give it your best to follow a nutrition and workout plan. Don't listen to people who say you will never accomplish your goals. Focus on your goal, but don't make transforming your whole life. If you're my age, continue focusing on school and maintain a healthy social life. Always try to find new ways to motivate yourself. Bodybuilding.com is the greatest website I've ever seen. It helped me in every way to reach my nutrition, workout, and supplement goals. Bodybuilding.com helps you stay on track by providing endless motivation.